Watch Alistair Begg's message from the 2015 Ligonier Conference, "No Place for Truth". We are facing a culture that does not see truth as absolute, that says all paths lead to God, and that disdains the rigorous intellectual pursuit of the things of the Lord. Such darkened thinking resists the light of God’s Word, and it influences the church in ways that hinder our ability to shine forth the Lord’s truth. 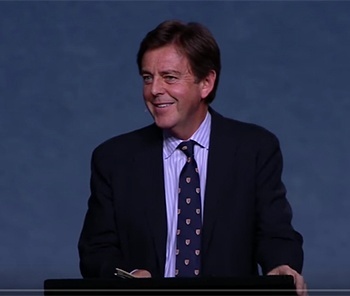 Alistair Begg looks at the threats of anti-intellectualism, relativism, and postmodernism, exhorting us to proclaim Christ as the way, the truth, and the life. Alistair calls us away from a low view of truth to a view that places truth front and center in the Christian mission.